Dr Kovalchick graduated with honors and received her Doctorate in Dental Surgery (DDS) from the University Of Detroit School Of Dentistry. 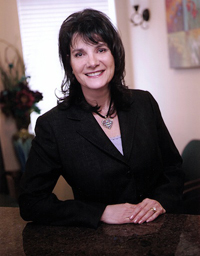 She received a Bachelor of Science from the University of Detroit and also holds a degree as a Dental Hygienist from the U of D.
Since then she opened her practice and has delivered dental care for over 25 years in the Grosse Pointe. Her concentration is in comprehensive care with a special interest in cosmetic dentistry and implants. Her commitment and passion for dentistry is often recognized for she has been selected by her peers for 3 consecutive years as one of Metro Detroit Top Dentist and featured in the Detroit Hour Magazine. She is a recipient of the prestigious "Gold Metal" award presented by the American Academy of Cosmetic Dentists for her aesthetic dentistry she completed on her patient. She has completed the Cosmetic Dentistry Program at the Louisiana State University School of Dentistry and previously was an instructor at the University of Detroit School for ten years. She maintains an active membership in the American Dental Association and Michigan Dental Association and has held an official position in the Eastern District of the Detroit Dental Society including the Presidency. She is also a member of the American Academy of Cosmetic Dentistry. Her most recent endeavor is her participation with a charitable program named GBAS (Give Back a Smile). The charity is sponsored by the American Academy of Cosmetic Dentists provides dental services to women who have been victims of domestic violence.